As some of you probably know by now, I am SUPER scared of the dentist. I mean knock me out for a cleaning scared. Thank goodness I have always been really lucky with my teeth and hardly EVER had cavities growing up, I never needed braces and my teeth have always been pretty white. Then why am I so terrified of the dentist? Well, I had a REALLY bad experience when I was a kid and have been traumatized since. I try everything in my power to prolong the time between seeing the dentist. When I started having kids, everything went downhill as far as my teeth were concerned. As you can imagine, when I was told I had 7 cavities at my last check up in April, it was a bit of a shock! I cried. Yep, I totally did. After I had half of the cavities filled, I went in for a cleaning. The hygienist was SO nice and pointed out a few of her favorite products. She pointed out a few Sonicare items they had for sale in office but told me any electric toothbrush would do fine for my needs. Since I can't afford a Sonicare toothbrush, I took her information and left the office. 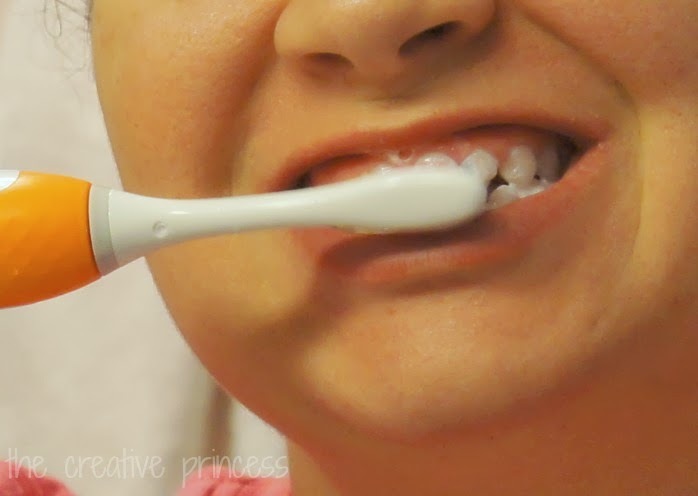 A few weeks ago, I heard about a new toothbrush from Philips Sonicare that I COULD afford! I headed out to Walmart to see what the hubbub was all about. 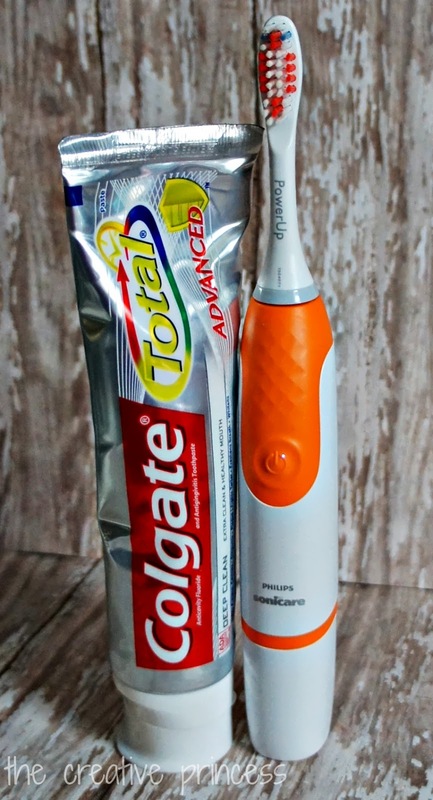 I quickly found the display and at under $20, quickly put a Sonicare PowerUp in my cart! I was hesitant to try it at first because my teeth are pretty sensitive. The brush I was using was a super soft manual brush. I was only able to find a medium brush and was worried it might be too stiff for my teeth. It wasn't at all! 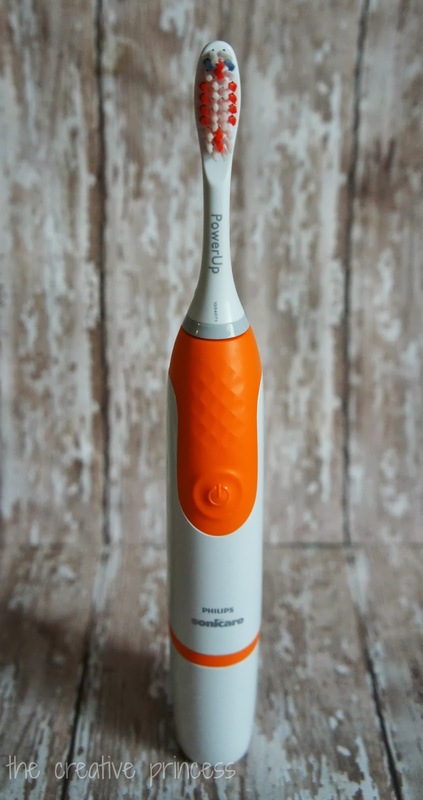 Since I am so used to using a manual toothbrush, it did take me a few days to get used to the vibration of the electric toothbrush but, it wasn't a big deal. Because you get a month's worth of brush strokes in just one day with the Philips Sonicare PowerUp toothbrush, I know my hygienist is going to be super impressed at my next check up! Oh, and just what do I plan to do with my old manual toothbrush? Well, use it for cleaning of course! Want to see a cool video featuring the evolution of the toothbrush? Head over to Facebook and check it out!